Kush Films proudly presented a special screening of ‘Roman J Israel Esq’ at the Regent Street Cinema on the 19th of April. There was also a special panel of guests after the screening and a discussion entitled ‘KIll the Myth: Black Films Do Sell’. 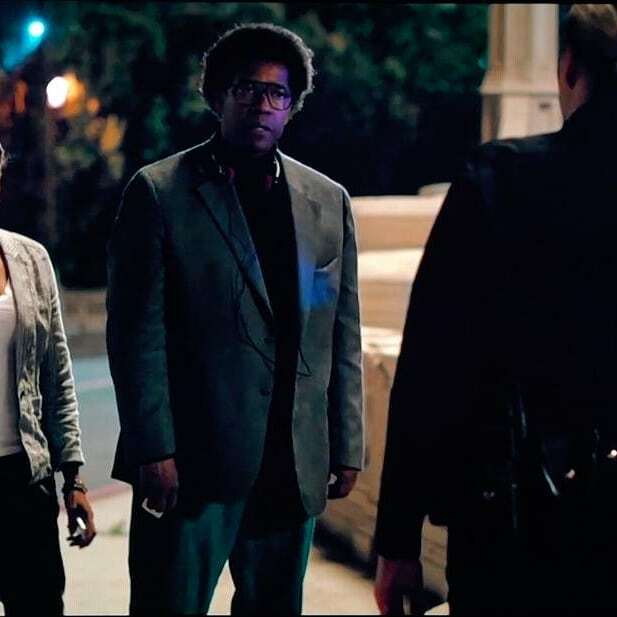 Academy-award winner Denzel Washington stars as ‘Roman J Israel Esq’ in this stunning thriller from director Dan Gilroy (‘Kong: Skull Island’ and ‘Nightcrawler’). Washington dons an afro as he slips into the character of Israel. Set in the under-belly of the Los Angeles court system, Israel is an idealistic defence lawyer whose life is up-ended when a close friend and civil rights activist dies. Cue Colin Farrell (‘Fantastic Beasts And Where To Find Them’, and ‘Total Recall’) as George Pierce, an ambitious attorney who recruits Israel to his firm. Israel also starts a friendship with a civil rights campaigner played by Carmen Ejogo (also in ‘Fantastic Beasts And Where To Find Them’). The story shows Israel’s struggles, as his beliefs and fight for the truth are stretched to the limits through a series of events that push his integrity and achievements in activism to the edge. This film is stylish, but gritty enough to not suffer style over content. Washington oozes class, assuredness and screen presence, giving one of his best performances in a career brimming with many great acting roles. In some ways, he was made for this role. Farrell is also on top form as his lawyer friend, and Ejogo is marvellous as the activist. The Kush Film Boutique is the UK’s No 1 platform for urban films; join our members and patrons monthly and watch premiere and exclusive mainstream and indie film (inc shorts) in a great atmosphere with live performances and guests hosts at the plush Regent Street Cinema (the UK’s first original ever cinema that opened in 1896). You can become a ‘Film Boutique’ member here. Find Kush Films online on their official website, Twitter (alternative Twitter account), Facebook, and YouTube.